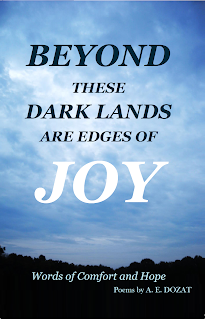 Beyond These Dark Lands Are Edges Of Joy: How Should I Respond To My Editor's Observations? How Should I Respond To My Editor's Observations? My editor returned my collection of poems with some suggestions and observations. They are mostly good and positive, which I ate up. But she made a few comments which caused me to reevaluate my entire project. It is important to use the advice of others who you trust. They will see things you miss and point out things you might not have considered because you are so involved with the project. So, if the advice is honest and sincere you have to give it some respect. One of her observation was that there was a sadness or tone of depression in many of the poems and that influenced the overall voice of the work. I have noticed before that my poems had a lot of phrases that invoked images or feelings of sadness. 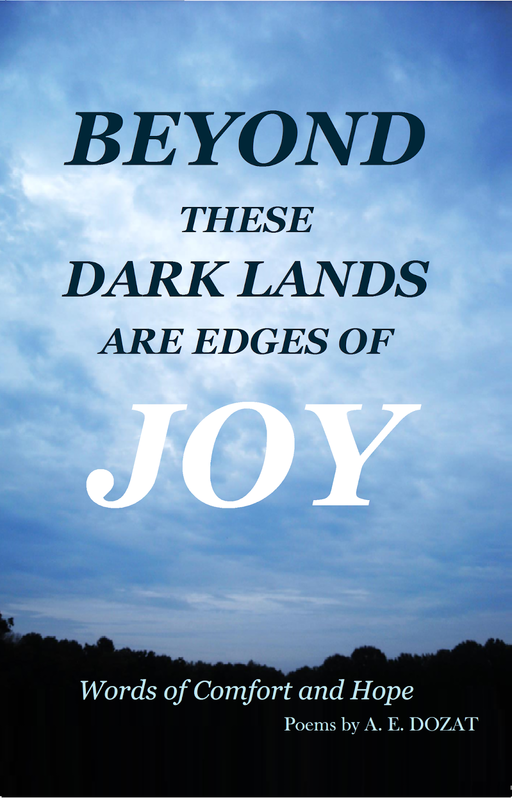 I was not sure if it was some internal reflection on my part since as their author I had a unique connection with the poems. Now I know the reader finds the same voice of sadness. This is not good news to me. I wanted the book to be one of encouragement and hope not a rallying flag to some self-pity celebration. If I revisit and edit each poem I will have a big job on my hands and may have to push back publishing to early spring. I am committed to the vision God gave me to write a collection of poems that can be given out to encourage people and point them to God. For this to happen it has to be a meaningful product that one person will be blessed by and then want to pass it along, not something that will get them depressed and toss the book away. I believe this project is important and will bless many people. Since anything that is worth having or doing is also worth the price and sacrifice I will take her advice and revise the collection one poem at a time. A large number will require attention. I think some only need a line edited out, or another line added to turn it around. There may be a few poems that I will have to remove completely. I may add one or two that celebrates joy, and hope. I am grateful for her help in making this book a light and hope for many. you will glad to have this book. Use the button to order your copy. Thank you. Embracing sadness or talking about it is not always a bad thing. Those who read your book will appreciate the reflections you present. Truth speaks to many hearts so don't edit your feelings out of the book but let God shine through. He has a way of touching everyone in a different way. Consider letting someone else read the book that knows you well but not a family member...before you change too many things because you want to purposefully portray yourself and your struggles or is your aim to make it a happy book to please people. I just finished my first poetry book this year and have some dark poetry in there that has touched the hearts of many in a good way. We are all broken people and find comfort in each other and in God's words that he places in us. We want to be used by Him. "Leaning Upwards" ruth helen pallek. Thank you very much for your encouraging comments. I feel the same as you do and believe that God will use my book of hope and comfort in the lives of many people. Your suggestions above are good and I was already considering who might be on my pre-release review team. I know that too many changes will cause this project to drift from the original vision but I want to be careful to do it well and professionally. I am excited to read that you have published a book of poems. Do you have a link to an author's page or website where one can purchase it or read it, feel free to share it here.